At one time there was only one ring finger. Today all our fingers express our unique personalities. Wear a silver amethyst ring and be in tune with centuries of history. 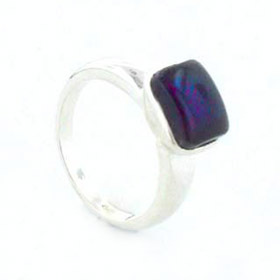 Our amethyst rings are set in sterling silver. 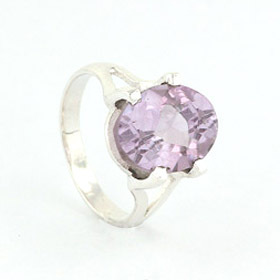 An amethyst ring can feature faceted amethysts or smooth, polished cabochons. Amethyst, one of the most popular semi-precious gemstones, comes in various shades of purple from lilac to deep royal purple. Explore our amethyst rings collection below and team up with an amethyst necklace, amethyst pendant, amethyst bracelet, or a pair of amethyst earrings. 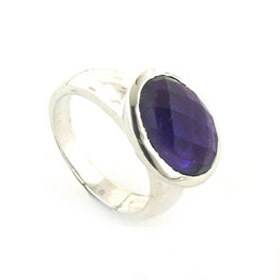 Our amethyst silver rings feature natural amethysts. 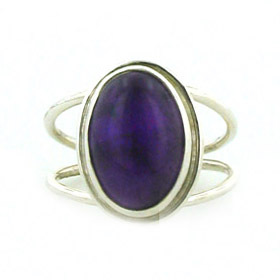 Amethyst ring with oval stone set into an open sterling silver band. 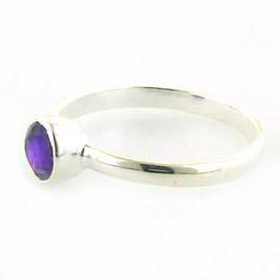 Large oval amethyst ring claw set in a plain sterling silver band. 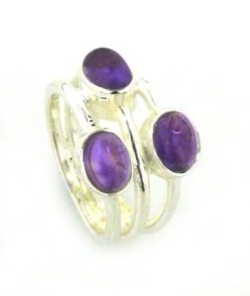 Amethyst silver stacker ring with three amethyst cabochons. 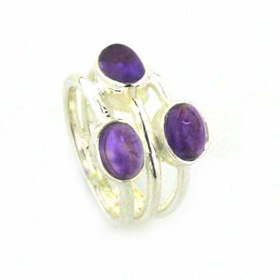 Round amethyst ring set in sterling silver. 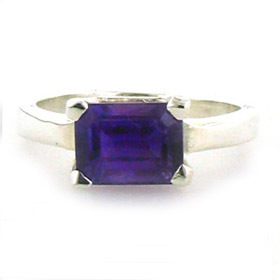 Rectangular amethyst ring set into a plain sterling silver band.